Below are a short selection of books specifically recommended by Ajahn Achalo. Click each Book cover to open as pdf, to read, to download and to print. 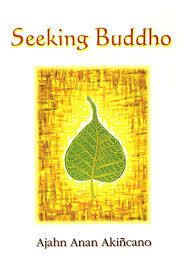 This book 'Seeking Bud-dho' contains several inspiring talks detailing Tan Ajahn Anan's development of both Samadhi and insight. Ajahn Achalo considers Tan Ajahn Anan to be his main teacher in Thailand and frequently reads from this book when giving retreats. We are truly fortunate that Tan Ajahn shared these intimate details of the progress of his mental cultivation and that they are available to us as a wonderful reference. 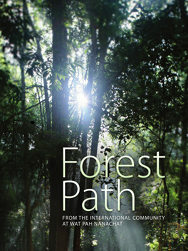 In this reprint edition of Forest Path, which is a collection of talks, essays, and accounts from the community at Wat Pah Nanachat, starting at page 203, Ajahn Achalo writes Chapter 15 titled 'Acceptance, Forgiveness and Deep Blue Empathy . . . Going Home', a monk visits his family after three years at Wat Pah Nanachat'. Mae Chee Kaew (1901-1991) was a country woman who lived a simple life in the northeastern region of Thailand and overcame enormous difficulties in her attempt to leave home and follow the Buddha's noble path. 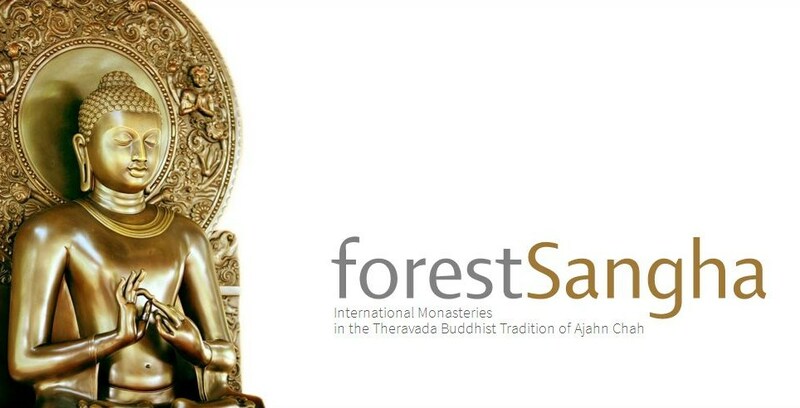 Blessed with the good fortune to meet the most renowned Thai meditation masters of her era, Mae Chee Kaew took their teachings on meditation to heart, diligently cultivating a mind of clear and spontaneous awareness. Her persistence, courage, and intuitive wisdom enabled her to transcend conventional boundaries - both those imposed upon her by the world and those limiting her mind from within - and thereby find release from birth, ageing, sickness, and death. 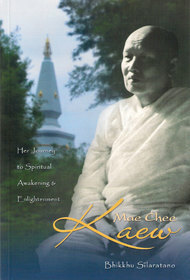 Mae Chee Kaew is one of the few known females recognized as an arhant in Thailand in the modern era and testimony to all beings regardless of race, gender, or class.